I think I have a new found love! My Gourmia 11 in 1 Multicooker which also has sous vide function that I love! 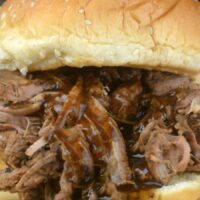 I made the MOST amazing French dip sandwiches using my sous vide. Fork tender and full of flavor this was the best roast I have ever had. 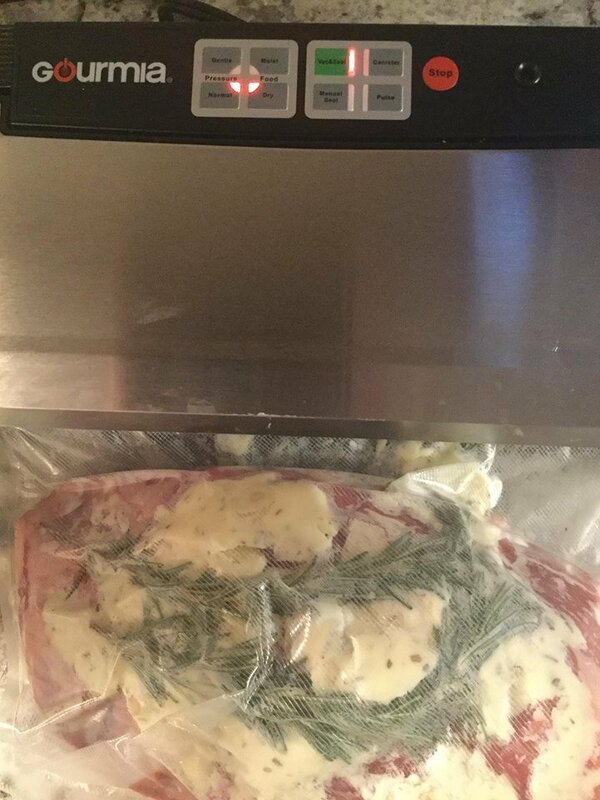 Nothing compares to meat cooked in a Sous Vide if you have not used one yet you are really missing out. Starbucks Copycat Sous Vide Egg Bites is one of my other favorites done in the Sous Vide. I also made Old Fashion Chili in my multicooker that turned out AHMAZING! 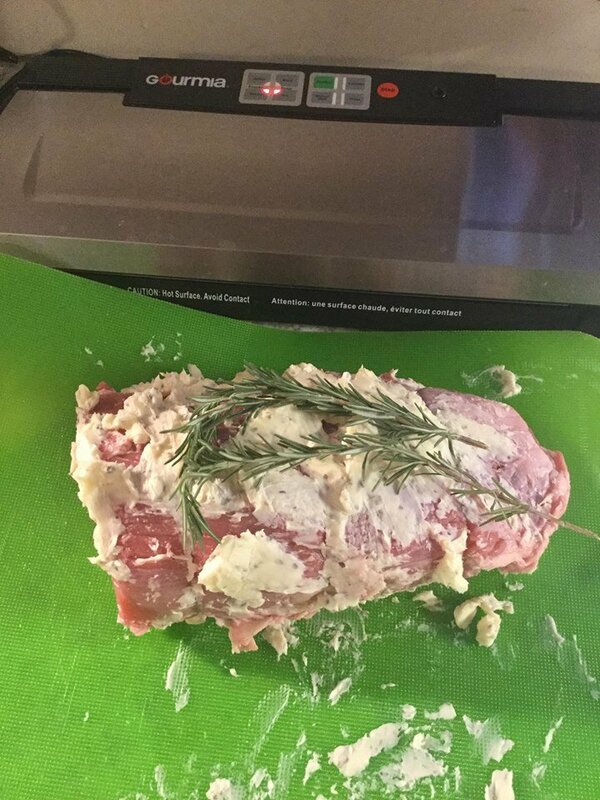 Now for the recipe 🙂 You can buy any cut of roast for this I spent about $7.00 and it turned out amazing. 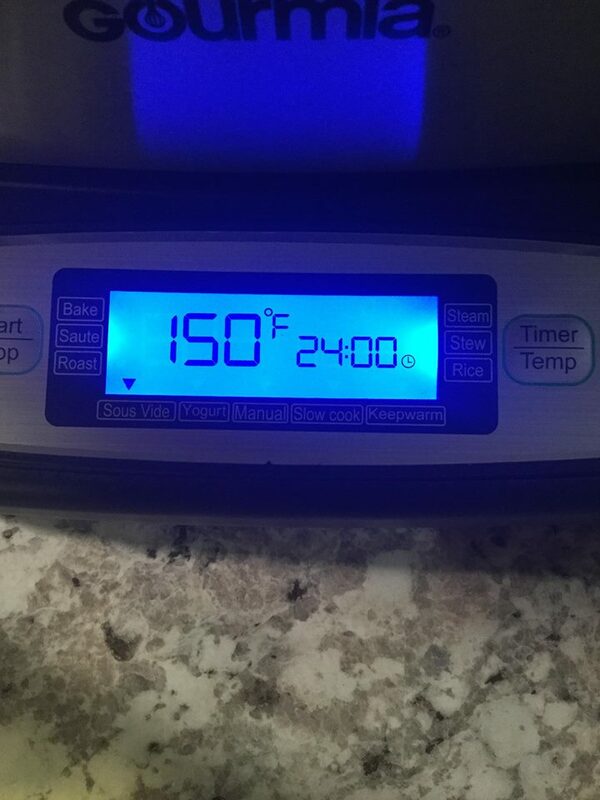 I use ChefSteps to figure out what temp I want my meat done too. It’s a great informational site for Sous Vide. In 24 hours remove from the bag. Place a cast iron skillet on the stove and let it heat up to about 500 degrees screaming hot. Seer your roast on both sides about 1 minute per side. Remove from the pan. Place flour in the pan and use a whisk and slowly add your broth. simmer until bubbly. Add your wine and a dash of gravy master. Use a fork to shred your meat. 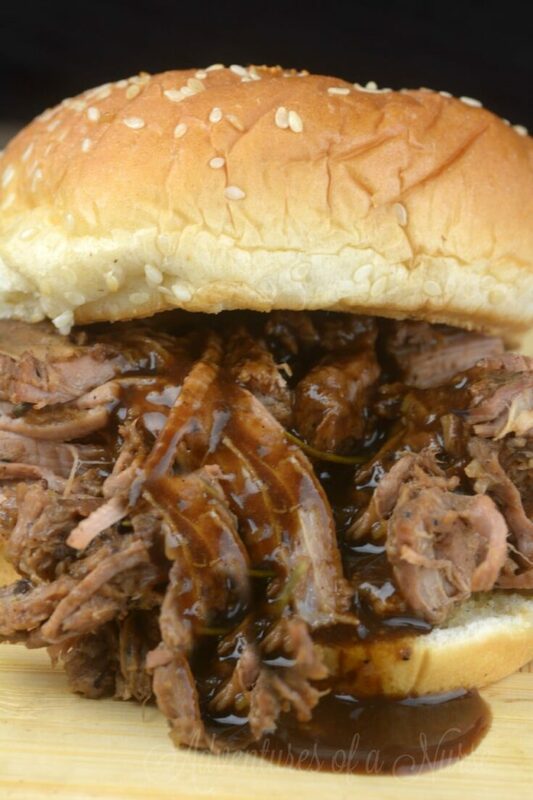 Place back in the pan with the juices and serve on a bun. I hope you enjoy this as much as we did.